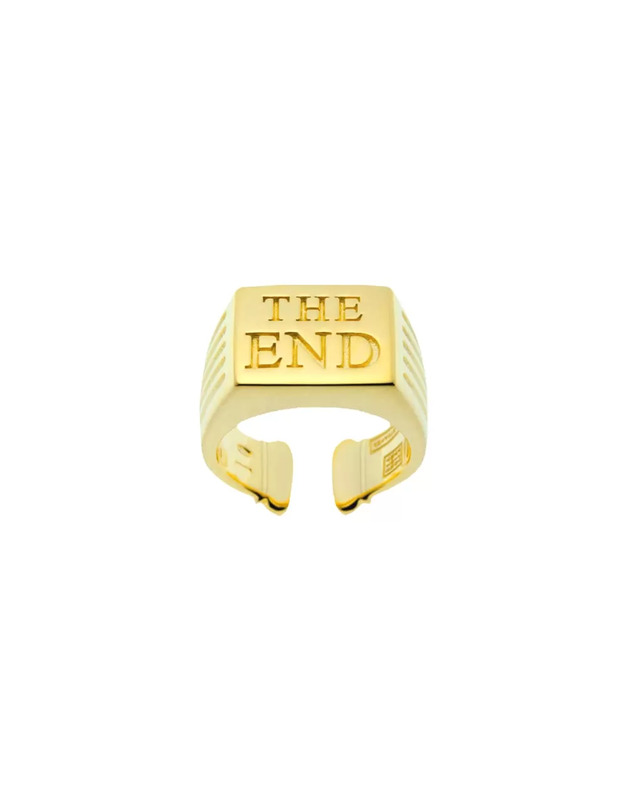 From the fresh creativity of young Milanese designer Bea Bongiasca and the irreverent irony of Toiletpaper and its creators Maurizio Cattelan and Pierpaolo Ferrari, comes the new jewellery capsule collection, Endless? The ten piece collection, available in silver, gold plated or with colored enamel, is proudly Made in Italy and made by hand. The pieces include earrings, necklaces, rings and a brooch and feature the writing “Why Me?” or “The End” on miniature tombstones, reminiscent of the iconic Toiletpaper images with the same theme. The unisex jewellery, which evokes historical ornamental references such as religious icon necklaces, chevalier rings and military dog tags, is made to be mixed and matched for extra impact. Partly inspired by the medieval “Memento Mori” practice of reflection on mortality, but most of all a declaration of love, Endless? is a wonderfully eccentric and thoroughly twisted collection of symbolic jewellery which ingenuously reflects the iconoclastic creativity of Bongiasca and Toiletpaper. The collection will be available at some of the world’s leading concept stores including Colette Paris and Corso Como 10, as well as the Toiletpaper online shop and a selection of iconic art and design institutions such as the MOMA store and Gallerie Perrotin Paris.